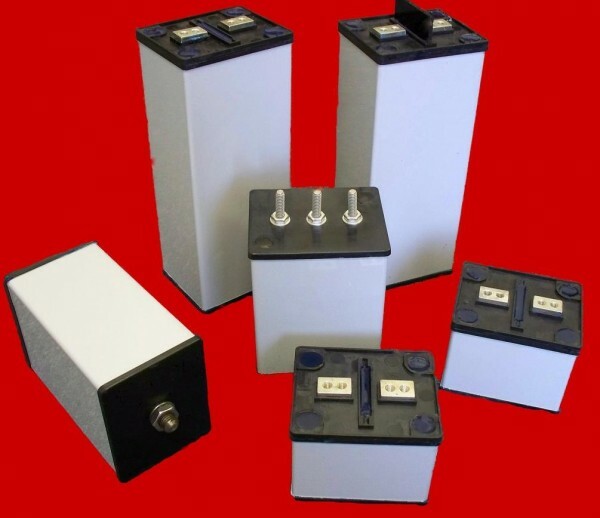 Product information "E Series Film Capacitors"
NWL’s E-Series polypropylene DC link film capacitors offer an alternative to small round cans, both film and electrolytic, with high capacitance density in an economical standard dry resin filled package. The rectangular painted aluminum package with various termination options allows for versatility in design layout. Standard economic package – With a standard case construction and end cap covers, NWL created automated assembly to enhance production efficiency. Terminal options – Threaded terminals, threaded inserts, insulated exiting wires, and laminated bus are only a few of the terminal options to select from. Inverter design flexibility – Compact standard rectangle case, and central mounting stud option give designs various component layout alternatives. Related links to "E Series Film Capacitors"
Customer evaluation for "E Series Film Capacitors"